I have only recently turned 65, and in reflective moments, feel a bit amused when I remember the times reaching sixties, or for that matter, even 40s or 50s seemed a far cry for me! I distinctly remember the day when a distant uncle tried to apply his newly learnt palmistry on reading what the lines on my little palms were predicting! Cupping my palm in his hands, he peered down at it intently for quite some time; then shaking his head sadly declared in a solemn voice, “Yasmin, your age line shows that you do not have a long life. I fear you may not be even able to cross thirty.” “How insensitive of him!” I often think now, but at age six, dying at thirty years seemed too far off to worry (or depress) me and I just wanted him to leave my hand so that I could go back to play with my elder twin sisters. But my uncle’s prediction lingered in my subconscious until I had crossed forty and learnt to scoff at it. At every illness big or small, I would tell myself, “This is it. My end has come!” But by the grace of The Almighty, at 65 I am still around and also not in a too bad shape. Life is still worth living and there is yet a lot to look forward to. To be honest, I do not feel old inspite of my years. Even now I am thrilled when it rains suddenly, enjoy the morning breeze, love the fragrance of flowers and still feel enchanted by the bright light of the full moon. Surprise gifts and a compliment on my writings (and yes, looks also) still bring a rush of adrelin! I love to go out and visits from friends and relatives and above all my daughter and grandchildren are always exciting. As I look back on my life, I have a lot to reminiscence about. Having a secure childhood with very caring parents and loving siblings, the early years of my life form a valuable part of my chest of memories! Married at a rather young age, my prime years were the hectic ones when I was busy raising up my children. I am thankful that I had a life long enough to sit back and reflect on the past years, congratulate myself on the areas I feel I have been successful and admonish myself on where I have made mistakes, or could have done better. Life is always full of Ifs and Buts! But I am lucky that I have no regrets or resentments. Living in a joint family system with my married sons is a great blessing for me. With all my children happily settled in their lives and having families of their own, the focus of my attention has shifted from them to my grand children. I hope I live to see them achieving their goals and fulfilling their parents’ dreams! I have had my share of adversities but with the passage of time and the wisdom only years can bring, I have realized that they come with the package of the roller coaster ride we all call Life! In the bumpy road of the years I have lived, I have learnt a lot of lessons, some sweet, some bitter! But I have refused to be disillusioned by these lessons. I have also had my share of successes and failures! Successes have encouraged me to strive for even better results, while failures have taught me to struggle with more vigour. The perfectionist in me is never satisfied and I am always my own best critic! At age 65, I have more to look back at, than to look forward to! Life is drawing to its natural end! But there is a wish list which keeps getting longer by the day! I want to note down these wishes and checkout on how many of these are shared by my readers! I wish that I am never a burden for my children, physically or financially. Not hampered by diseases old age brings, I wish to remain active and self sufficient till the end comes. I wish that my children pass on to my grandchildren the religious, social and cultural values I have tried to instill in them. I have always taught them “To live and Let Live.” I wish that my children and grandchildren cherish the legacy of love I have strived hard to pass on to them! I wish (and pray) that they remain a closely knit family and always be out there for each other, in good times and God Forbid bad! With my eldest granddaughter beginning her medical university this year, and the younger ones still to begin school, I wish that my grandchildren attain success both in their academic and personal lives. I have high dream for them and I wish to live long enough to see at least some of them fulfilled. I wish that, when the time comes to go, I accept death serenely and am at peace with myself. I wish I die a content woman who does not want to cling on to life unnecessarily. I just want to move on to another world, which I pray and fervently hope, would be better than this one! I wish to die peacefully at home, in my bed and with my children around me. No heroics for me, no rushing to the hospital and unnecessary (and painful) medical procedures. I wish my children let go with acceptance that there is an end to every being in this world. I wish that they accept my loss with grace and with no prolonged mourning after I have left. By God’s mercy, I have lived a full life and always struggled to keep my children happy. In death also, I wish that they are not saddened! I wish to be remembered with love, tenderness and respect! I wish that my memories bring a smile to the faces but also a faint mist to the eyes of my family members and friends! I wish that even when I am around no more, I continue to live in the hearts of those I love so dearly! Independence Day is approaching yet another time. Yesterday I had a sudden idea and impulsive that I am, decided to implement it at once. Throughout the year, we are busy celebrating birthdays and anniversaries. Why not have an Independence day party? Happily I started to call close family members but I was a bit confused at the reaction of the young generation, who seemed to decline my invitation politely at one pretext or another. Warily I told Sohail about the party. “Come on Auntieji, you must be joking! What is there to celebrate about anyway? Insecurity? Power failures? Corruption? Suicide bombers blowing up innocent people whenever and wherever they want? Or the sky-rocketing cost of living which is making a respectable difficult day by day? What has Pakistan given us anyway? Please excuse me Auntie, I shall rather stay at home and catch up on my sleep”. Sohail’s outburst helped me to understand why the people of his generation were not showing any interest in my party. They all belonged to a disenchanted and disappointed generation which had seen Pakistan going on the downwards slide, year by year! Although I tried my best to convince Sohail, his arguments were so strong and he seemed so agitated, I decided to talk to him later. I was born in an age when the people who had strived, suffered and sacrificed for the sake of independence were all around, so I felt deeply disturbed at the frustration of our new generation. In those days Patriotism was the order of the day and our parents never tired of telling us true stories about the Pakistan movement. Precious lives were lost, ancestral homes and properties were left behind but no one considered this a price too heavy for Independence. I vividly remember my mother shedding tears when she talked about Mohammed Ali Jinnah or Liaqat Ali Khan! Love for Pakistan seemed to be in the blood and everyone seemed proud to call himself a Pakistani. I can still remember how enthusiastically we celebrated 14th August at school. The principal hoisted the national flag and gave a short speech stressing on the importance of independence and love for one’s Homeland. As we fervourly recited the National Anthem in a chorus, it was a proud moment and the fluttering green flag never ceased to bring tears to my eyes. Sweets were distributed among the children and all of us were as happy as if it was Eid. Sohail’s questions brought a rush of guilt to my heart. What is the reason behind this change in emotions? Have we failed to transfer this love for Pakistan to our next generation? Did we take independence for granted and did not strive enough to pass on its importance to their young minds. Or is it our poor and inept education system which is to blame. Today our young generation has but a fleeting knowledge of the hardships faced during the movement for Pakistan, something which they have learned in the dull and drab books on Pakistan Studies! These books also keep changing with the advent of every new ruler who want the syllabus to suit his whims, trying to write a new history after every few years. Or should we blame the greedy and incapable politicians, who are too busy filling their pockets (which are already bursting at the seams), to care for the peace and prosperity of Pakistan? Our country is rich enough in resources. But whose purpose does it serve to keep them untapped and underutilized? Job opportunities which can be created but are not, the rain water which can do wonders for our agricultural lands but instead floods and destroy standing crops, the beautiful valleys were no tourists dare to visit due to fear of the so called religious extremist, growing unemployment and a steep rise in the inflation level are only a few reasons of the causes leading to the frustration of our young generation. These and many other such thoughts kept troubling me as I lay awake in the darkness of the night. The next morning I called Sohail again, “Whether you come or not, I am celebrating 14th August according to my plans. You asked me many questions yesterday. The only question I have to ask you is ‘What have “We” given to Pakistan’? Nobody from the Heavens will come to change our lot. It is our choice, either we sit in our drawing rooms, sipping tea and blaming each other for our failures, or firmly resolve to strive and sacrifice, step by step, for the prosperity of Pakistan”. The cherished months have finally arrived. It’s summer holiday again! It’s time to laze around and relax from the strict regime of school life, home-work, tests and, for some friends, the additional burden of tuitions too! But it is often seen that after the initial week or two, the excitement and charm of the vacation seems to wear off and we start complaining of boredom. What should we do? This is the question which you all start asking your mothers and it makes them want to groan out aloud as they wonder how to keep their kids busy, happy and mostly out of their way! Some lucky ones amongst you may go out of town (or country) to spend your vacation. There are also a lot of summer camps which offer a variety of activities, but in these times of insecurity and inflation, most parents do not find them affordable or convenient. Friends, instead of getting on our parents’ nerves, we must find such means to keep ourselves busy that are not only fulfilling but also easy on our parents’ pockets! This summer you can find a very fulfilling activity which will not only keep you busy, it will also provide a sense of immense emotional gratification. These are the months when we have lots of free time at our hands, and we can make this time precious by using it for bonding with relatives, old friends, books, nature and the environment around us! Often, in the busy school months we have hardly any time for our elderly relatives. Grandparents specially look forward to vacations as they know that you can visit them more often and also spend nights with them. The luxury of Grandma’s delicious pulao, her special cookies and the traditional kheer, which no one can make as perfect as her, are for yours to enjoy. You can also help Grandpa with his gardening, in rearranging his bookshelf, or accompany him when he goes out for his daily walk or to the mosque. You can also help your grandparents to clean up their cupboards and room, a chore they do not have the energy to do without help. Maybe you will find something interesting like old photographs, grandma’s trinkets which she doesn’t use anymore or old coins and stamps Grandpa once collected as a hobby. They may allow you to keep these with you and they may one day turn to be a sort of souvenir from them. There are also elderly family members, like your parents’ aunts and uncles or an ageing neighbor. A visit from you or a phone call can brighten up their day as deep down old people are usually lonely! You can indulge them by playing a game of ludo or chess, or reading out to them from their favorite book. The happy look you will see on their faces would make your free time worthwhile. Sometimes you lose track of close friends once they move out of your neighborhood or change school. In these leisure months it would be a wonderful idea to look them up and refresh your ties with them. You can email them to find out about their whereabouts or call common friends to trace them out. Meeting old friends is often a tonic for our mood and spirits, providing us with a deep sense of pleasure. With the hectic routine of homework and class tests, most children usually like to spend their free hours relaxing in front of the television, texting or chatting with friends and browsing on the computer. Reading good books is no more a favorite pastime for most of you. But you must realize that books are your best companions and there is no better time to cultivate good reading habits than the long afternoons of your summer vacation. To make your time more productive, look up some good classics, and be sure that every day you spend a couple of hours in reading. In this way you will learn a lot as reading not only broadens your insight, it also provides you knowledge beyond your textbooks — the most enjoyable pastime one can have! Ask your parents or elder siblings to help you in the choice of books. You can visit old book shops or the Sunday markets where you can get good books at affordable prices. Create a chain by exchanging books with your friends. This way you will be able to read more while you spend less. Soon you will realize that reading is the most enjoyable pastime one can have. Bird watching, going for walks and gardening are all means to bond with nature. Place small pots of water and baajra (millet) in your garden and you will be delighted to see the sparrows specking at the food and drink! Bread pieces leftover from the breakfast table, a spoonful or two of cooked rice can also go into these pots and don’t be alarmed if crows also come in for the treat. After all they also help to clear up the environment and we can set out a morsel of food for them too. Gardening is also a very fulfilling activity which will bring you closer to nature. You can set out small pots in your garden or balcony and nurture and water your personal plants. The tinge of delight at seeing your plant grow will make your time rewarding as well as give you a sense of fulfilment. This summer vacation set a goal for yourself to make your surroundings better. You can organize a cleanliness drive with the help of your neighborhood children. Clearing up your lane and going from door to door to ask people to help you by not throwing their trash on roads will create awareness and a better civic sense. You will also immense satisfaction of seeing your surroundings cleaner and more hygienic. The list goes on and on. These are only some suggestions for your summer holidays, but I am sure that my little friends are intelligent enough to take their initiative from these activities and plan a number of positive ones themselves! Happy vacation! Sharing my experiences of 2012 and hopes for 2013! 2012 is coming to a close! The months just seemed to fly away! Every passing years leave their marks on our lives as memories some pleasant some painful become a part of our past! Thankfully 2012 proved to be a memorable one, so many important events this year…some milestones in life! Yes, 2012 was a very important year for me. The beginning of the year saw the hectic preparations of my youngest son’s marriage. On February 2nd his bride became the new and welcome member of my small family and I felt that the major responsibilities of my life were over. I pray that my children and grand children are always showered by special blessings from Allah. Another major milestone of 2012 was the publishing of my first award winning book Follow the Light. Although it is taking time, but slowly and surely my book is getting appreciation. Based on true incidents from the history of Islam, my aim for compiling Follow the Light is to promote good values in children as well as familiarize them with the heroes of our great religion. As I started working for the promotion of my first published book, I got a good breakthrough as one of the most reputed schools of Karachi invited me as a guest author several times to its different branches. These visits were truly delightful as I shared my writing experiences with the children. Eyes filled with wonder, sweet but a bit shy smiles and innocent questions just warmed my heart. I hope to keep up this inter action with school children in 2013 as well. Another important happening of 2012 is the setting up of a personal website. But I can not take credit for this, as one of my readers did the whole thing for me. I call her My fairy with the Magic Wand! She has been a great help and has taught me a lot about how to improve my website. Blogging is something new for me and as I am a painfully slow writer, I can not boast of many followers and my site stats are still pathetic! But I am enjoying this new world a lot. Here, I am free to write anything I want and on any topic I care for! With no word restrictions or fear of rejection, I find my blog site a place where my imagination can fly freely! I also found a place where I can share my Urdu poetry with my readers. Sharing Ghazals and Nazms from my collection Ankahi Baaatein is giving me a great sense of satisfaction. And I am getting a fairly good response too. A new addition to the family is another important event of 2012. On the 26th of May I was blessed with a new grandson. I love being a grandmother and my grandchildren are my constant source of sheer joy! Spending time with them is more valuable for me and I often neglect my writing as I am mostly engaged with them. This year I have also completed the translation of Footsteps (my second award winning book). With very few articles in The Review and a bit more in the Young World (Dawn in page magazines), I feel I could have done more! But diversions like Facebook, Skype, Twitters took up a lot of my time. But as I write only for the pleasure of it, to be honest with my readers, I dont mind this slow performance. And now 2013 is about to start. A new year brings with it new hopes and new resolutions! I hope to hold my newborn grandchild in my arms in the first trimester of the upcoming year, and the wait is slowly turning into deep excitement. My youngest will become a father! This is like a dream come true, because I had hardly expected to live this long! My second book Footsteps and Roshan Raahein, the Urdu version of Follow the Light should also hit the bookstalls this year, In sha Allah (if Allah so wishes)! This is something I had never contemplated even in my wildest dreams, but a Divine Hand seems to help me and keep me going. Another resolution for 2013 is compiling my third book, Lost Legacies. I dont know if this would materialize but I shall try my best! I also hope to pick up my writing speed as well as post more from my collection of Urdu poetry, Ankahi Baatein, on my blog site. Every passing year has its pleasures, joys as well as pains and disappointments. But as the year draws to its end, I am content with what it doled out for me. Although I can not boast of much, but I have tried to the best of my limited abilities to achieve something and not just wasted my time in futile activities. Readers are requested to pray for me and wish me luck in the upcoming year! Determination: She dared to dream! This is a true story of a brave woman, a determined person who set seemingly impossible goals for herself, goals she fiercely pursued until she reached them! Although Nasima is around no more, and I have lost all contacts with her children, deep down I am sure they must be leading a happy and successful life! For the sake of privacy, all names have been changed. When I was newly married she was an inevitable part of my in-laws’ home. Neither a servant, nor a family member, Nasima held a place somewhere in between. She helped out my mother-in-law in her house work and in return got a place to rest, meals for herself and her daughter, a sewing machine to work on and last but not least, access to the television which she loved to watch. Fresh from college and timid by nature, I was young and inexperienced at that time. Her stern looks and serious demeanour made me fear her a little, but soon this fear gave way to fondness and admiration. I admired her for her ambitious plans for her children and the way she toiled to fulfil them. A mother of two, a boy and a girl, Nasima was married to a man much older and divorced after a few years. Although uneducated, she was a woman of great determination and would not let her situation be a setback for her children. Dedicating her life to the education and bright future of her children, she had set her goals high and pursued her dreams fiercely. Nasima’s brother provided her food and shelter and in return she kept house for him. Her’s was a tough life! Early in the morning, she dropped her daughter to school and go back home. After cooking, cleaning and doing the other daily chores, she would rush to school, drop her daughter at our place and then proceed to deliver lunch to her brother. In the afternoon she would be busy sewing clothes and then again whisk off her daughter for her Quran lessons. Her son joined his uncle after school, helping him out with his little shop and studying in between. Evening was the best part of her day. Come 8pm and nothing could budge Nasima away from the TV lounge. Those were the days when classics like Khuda Ki Basti, Shehzori and Kiran Kahani kept us glued to the idiot box. But for me, the most irritating part of this hour were her constant comments on the plays. My mother-in-law would scold her, “Nasima, listen quietly to what the poor thing is saying”. She would grimace at this scolding and keep quiet for only a few moments, and then off she would go again! Perhaps this was the only recreation she had and she wanted to make the most of it! Once the play was over, she would have a quick meal and bundle off her half asleep daughter to the bus stop to go back home. Nasima was not a person to blame her circumstances; rather she had the courage to strive to change them. Having no financial cushion to fall back on, she stitched clothes to provide for her children’s school fees, books, uniforms, etc. Herself wearing hand-me-downs, she nursed her daughter’s ego by providing her new clothes, although they were always simple and modest. Her daughter Gurya was a loving girl. Like all young girls she was charmed by a bride in the house! She would peep shyly in my room and ask if I needed her help, but I could never avail her offer because Nasima would scoop down on her like an eagle and say firmly: “Go and study, I shall help out Bibi”. She wanted her daughter to make the best of every spare moment she had. And Gurya was a good student, who worked hard to live up to the expectations and dreams of her mother. Years passed and after finishing school with good grades, Gurya got admission in a college near her home. And Nasima’s daily visits stopped. But she would come often to bring good news about her children. Her son got a scholarship to the leading engineering college in Karachi and after finishing his education, a good job at the Steel Mill. Gurya got a teaching job after doing her B.Ed. and was doing well. Nasima’s hard work had paid off and her dreams had come true. The unending work took its toll on Nasima’s health, however. Her asthma grew worse and one fateful day, a tearful Gurya called to inform us that her brave mother had died the previous night after a fatal attack of the disease. People like Nasima never really die. She lives on in my heart, and whenever I find myself in a difficult situation, with something which seems impossible, I remind myself of that courageous woman. I am sure you will be surprised on receiving this letter from me, as we live under the same roof, talk everyday and everything that I am writing now could have been said directly to you. But my dearest, I want you to know that often we talk without being able to truly communicate! There are so many things that I would like to tell you, discuss with you, advice you on but somehow whenever I try, the words simply don`t come out as strong as my feelings. So, I thought about writing to you. You look very depressed these days, and I can sense frustration in your behaviour. You are no more my sweet tempered boy who was always bubbling with life, but tend to be irritable and get angry at the slightest pretext. Please read this letter carefully, and that too many times, and let my advice sink in. I know that your dreams have not been realized yet, your expectations of what your life will be after you finish your education, have not been fulfilled to your satisfaction. But I want to ask you, will anger and depression help you in any way? You know very well that life has never been smooth sailing for me, but I never gave in to self pity or frustration. Instead I tried to handle my problems turn by turn and I am fairly content with the results. The problem with your generation is that you do not have patience. You want to step on the first rung of the ladder to success and want your second step to be on the top! I say “Give life your best efforts and be content with what life gives you in return”. You may not reach your goal, but you should have the satisfaction that you tried your best. Remember that life is not a trade… a business in which success means more output than input! What appears to be a loss in a trade can prove to be a gain in life. If you keep your attitude positive, experiences will end up giving you wisdom and failures a new resolution to try again, work harder and never to give up! As you may have heard umpteen times, an optimist sees a glass of water half full, while a pessimist calls it half empty! The amount of water is the same; it is the difference of attitude that matters. You want to give up although you have just stepped onto the road of life. I don`t want to shelter you any more; rather I would like you to experience life as it comes your way. I know that you will face both success and failures but I want each experience, good or bad, to make you stronger! So please be positive, keep on with your efforts and with the help of Allah you will be amazed by the results, for things will surely change for the better. I want you to behave like an educated person, not merely one who has degrees and has gone through college and university, but a person who dares to dream, has the ability to think and accept the challenges of life without a blink of the eye. Though striving for a decent living is part of a healthy life, don`t make it the sole reason of your qualifications. The least we can do to justify our education is to strive to change (for the better) the things around us. Sometimes small changes are not even noticed by us; but believe me, these small changes can bring about revolutionary ones! Invisible drops of water make up clouds, but when these clouds burst into rain, every single drop counts. I do not want you be to be a part of the crowd; people who complain, criticize and grumble at life`s problems and conveniently place the responsibility of their woes on someone else`s shoulders. I want you to be among the few who have the vision and the burning desire to change things for the better, are ready to take responsibility; people who face life`s adversities bravely, accept its challenges and work hard to reach their goals. I SHALL BOUNCE BACK…. INSHA ALLAH! I have been through this phase earlier, or to be more specific many times earlier! This hollow feeling….. as if I am living in a vacuum! Ideas evade me, and I find myself unable to focus on the ones that come and go through my head like fluttering butterflies. It has been weeks since I have written anything new. But this span of un-creativity also brings a sense of frustration and deprivation. My all time favorite novelist Pearl. S Buck says “I don’t wait for moods. You accomplish nothing if you do that. Your mind must know it has got to get down to work.” And this quote becomes my inspiration! I feel that the days passing by are being wasted, that I should write something, anything! But as I scan my mind for ideas, I feel totally lost. There are times when they rush in so quickly I feel breathless, but there are spans when I can not come up with anything I feel would interest my readers. Finally, an idea struck in today! Why not make this very feeling my new topic, because I feel every writer experiences these phases of hibernation in their writing careers. This reminds me that I do not have much of a career! A few published articles, a published book and a blog site can not make one a recognized writer. The basic requirement of being a good one is having a lot of readers, hits and followers on your blog site, and a book which sells like hot cakes. And I can boast of none of these! Writing for me is not only a hobby, a means of spending my spare time in a positive manner; it also brings a sense of accomplishment and fulfillment. I sometimes feel that a part of me grows older after every blog or article I write and a part of me dies! Yes, the pain of creating something new is definitely experienced every time, but I love to go through this agony again and again. 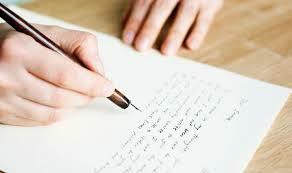 I do not write for fame, neither for money, but to give a path to my inner feelings, frustrations and emotions. I do not want to share my woes with my readers because I abhor washing my linen in public. But I like to share experiences which may help them to recognize and face the harsh realities of life. Personal traumas, hopes, aspirations and yes sometimes even disappointments teach us a lot and I love to share these lessons with anyone who is interested. Positive thinking is my plus point and I want to spread this frame of mind to people around me. So, my positive emotion for today is that I promise myself that I shall bounce back, comes out of this period of hibernation! Finally I have realized that writing has become my soul’s bread and butter. I can not survive without it. So, I will start writing something new. Very soon! Insha Allah!